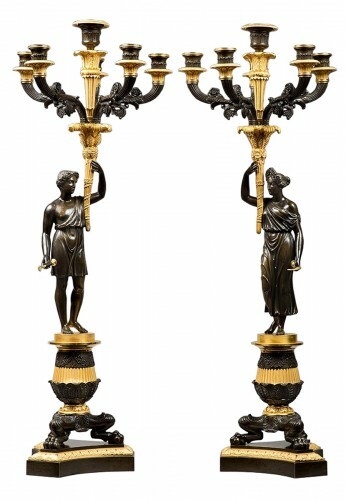 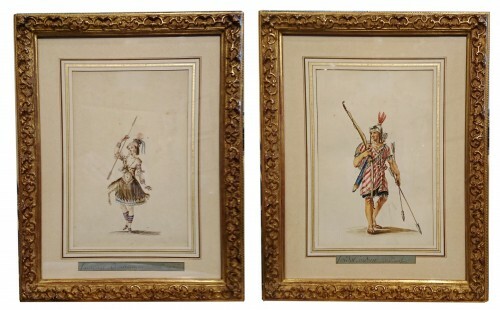 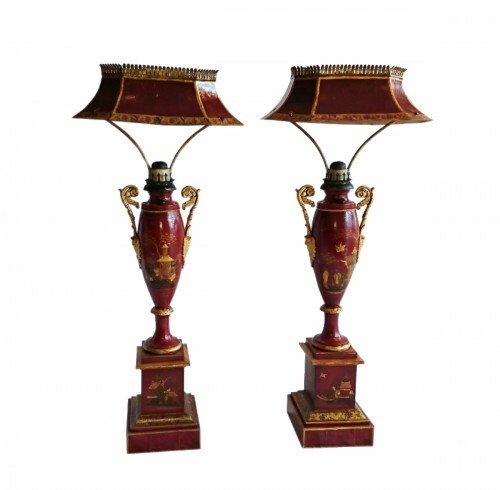 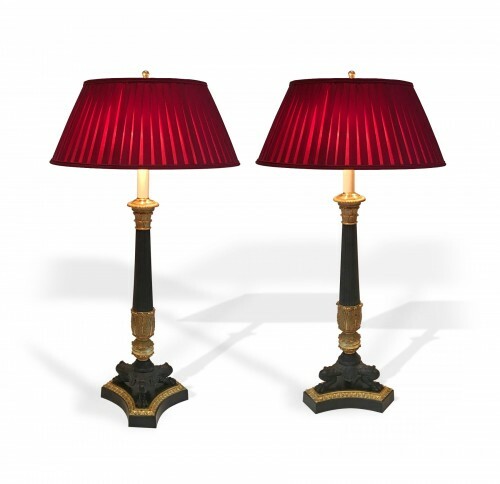 A pair of French Charles X period painted tole lamps with chinoiserie decoration, both monogrammed LC and signed « Thilorier rue de Bouloy à Paris”, circa 1825-30. 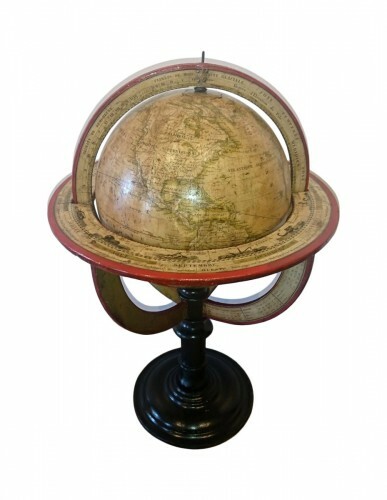 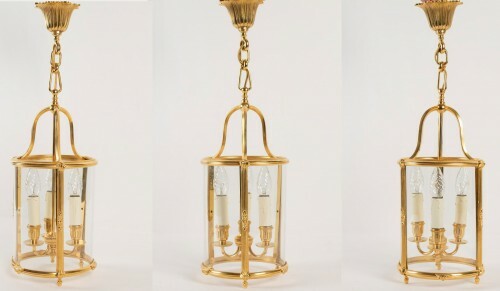 [Adrien-Jean-Pierre Thilorier (1790-1844) patented in 1826 a hydrostatic lamp with a system of oil flow ensuring a constant light. 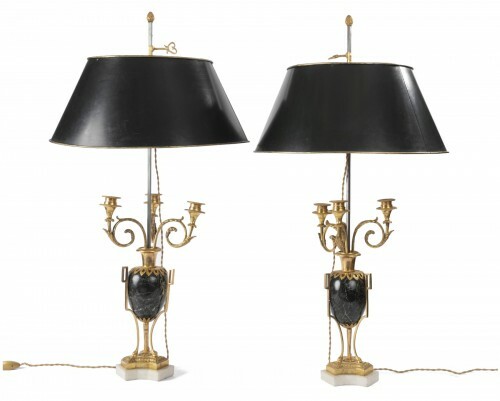 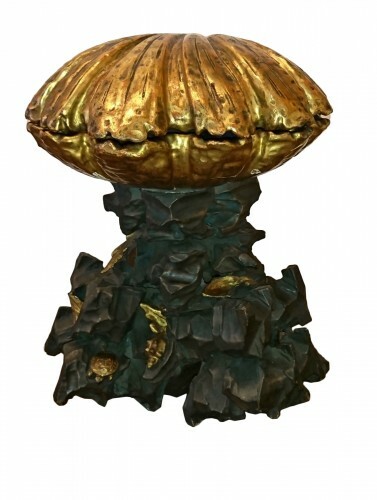 He sold these lamps 4 rue de Bouloi]. 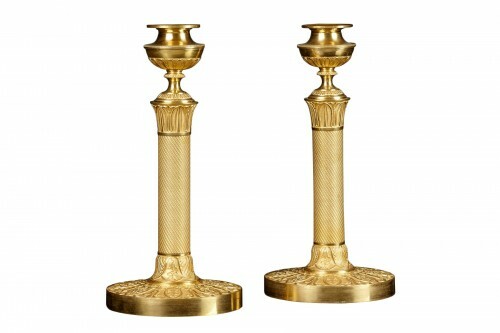 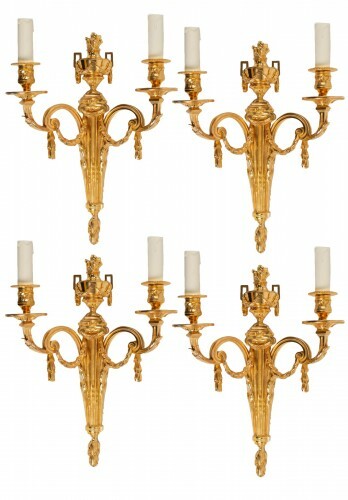 Four Louis XVI style wall-lights .